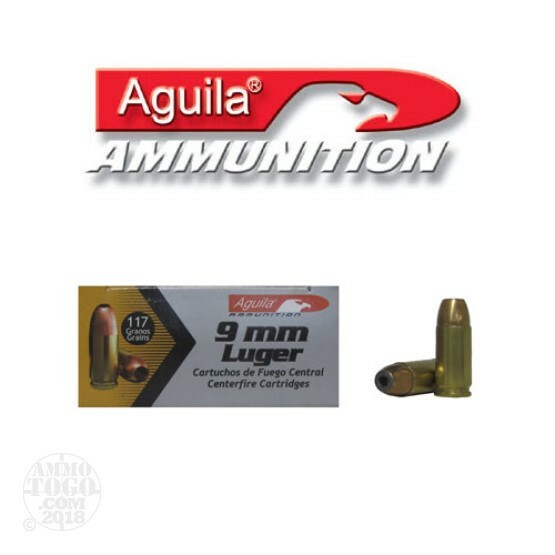 This is 9mm Aguila 117gr Jacketed Hollow Point Ammo. This ammo is copper jacketed, non - corrosive, brass cased and boxer primed. This ammo comes packed in 50rd. boxes and 1000rds. to a case.